Colleen graduated in April 2017 from the University of Michigan. She earned a BBA degree with an emphasis in marketing from the Stephen M. Ross School of Business, also pursuing minors in German and History. She will begin a career in merchandising at Target’s corporate headquarters in Minneapolis starting in Summer 2017. Outside of school and work, Colleen’s interests include fashion, dance, and dessert. Fox Sports U provided us with the valuable chance to work with an actual client. It was a great way to apply what we had learned to an opportunity outside the classroom. Seeing the results of our work come to life was very rewarding, especially the challenge of finding common ground between Fox Sports, Big 10 Football, and our sponsor brand, Valvoline. My team really had fun developing our ideas for this project and I think our excitement came through when presenting to our Fox Sports representatives! Philip is originally from Sterling Heights, Michigan. He graduated in April 2017 with a BBA from the Ross School of Business at the University of Michigan with an emphasis in marketing. After graduation, he is excited to begin working in Whirlpool’s marketing department where he had previously interned. Outside of class, Philip loves playing and watching sports. He closely follows Michigan sports and the Bundesliga, where he is an avid Werder Bremen fan. Because the project was an actual problem Fox is facing, it provided an excellent experience often not found in a classroom setting. The project was slightly ambiguous which was sometimes frustrating, but this simulates what happens in actual marketing departments really well, making the experience that much more valuable. It was clear that the Fox Sports University team valued the recommendations of all of the groups, and were looking for things that they could actually attempt to implement. Kristen Lynch is a rising senior at the University of Michigan’s Ross School of Business. She is concentrating in marketing, but also takes extensive coursework in psychology. She aspires to use real business strategies to develop creative solutions for organizations and the world at large. She has experience in marketing strategy, branding, non-profit leadership, sales, social media, and small business. Outside of school, Kristen is an RYT-200 yoga instructor. She teaches weekly classes at Center for Yoga–Ann Arbor, and also leads teacher training programs. It was really cool to be a part of a real-world, action-based learning project! Our Fox Sports representatives gave us really good feedback throughout the semester and were always available to answer our questions. Our project with Fox Sports and Big Ten football was challenging, exciting, and a great growth opportunity! Alexandra Rivard earned her Bachelor of Arts from St. Olaf College in 2014, after which she began her career at UnitedHealth Group as a Marketing Communications Specialist. She graduated from the 2017 Ross School of Business’ Master of Management program. She plans to continue her career in marketing and advertising with interests in digital and brand strategy. The Fox Sports U challenge was truly a “think outside the box” type of project. 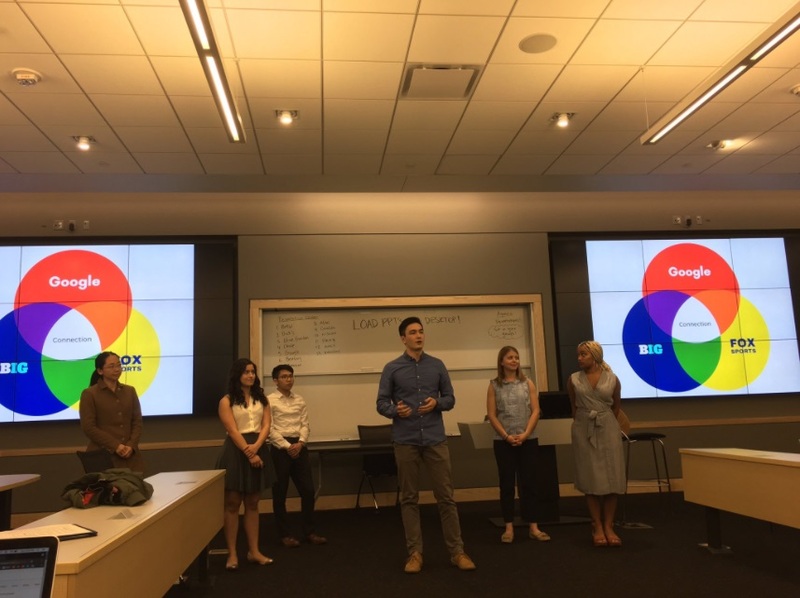 Our group had little to no previous experience with Valvoline, so we had to start from the bottom by digging into what the brand was all about and identify how college students could get excited about oil. 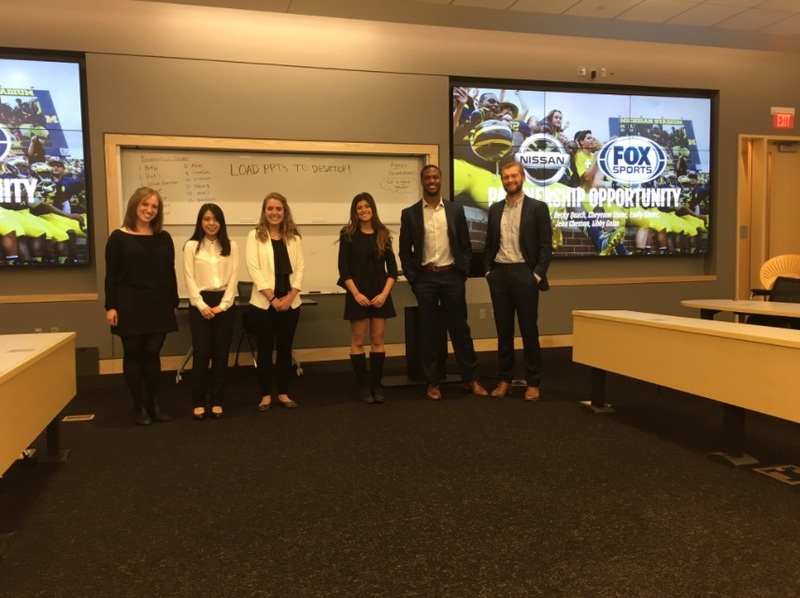 The Fox Sports project was an excellent learning opportunity because it provided visibility to two major organizations and emulated a real-life work scenario where collaboration and creative thinking were necessary to solve the problem. The Fox Sports U challenge was great to work on because it created an environment in which we could actually apply our classroom learning into a real life work experience. 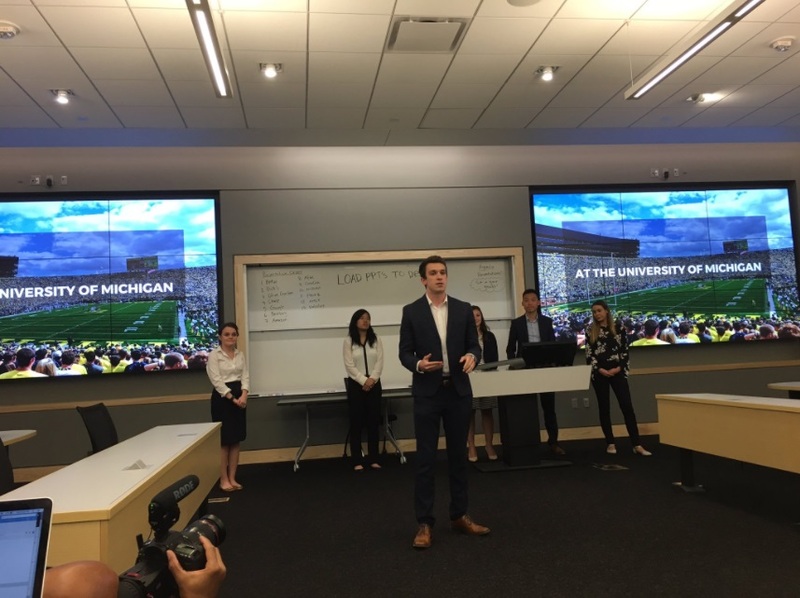 Social Media Marketing students at University of Michigan’s Ross School of Business were tasked to develop creative ideas to bring brands to life through activations, digital media, and social media tactics surrounding Big Ten Football on FOX and FS1. Marcus Collins is a culturally curious thinker with an academic insight into the cognitive drivers that impact consumer behavior. He serves as the SVP of Social Engagement at Doner, a full-serve advertising agency, and is a recipient of Advertising Age’s 2016 40 Under 40. Previously, he led the Social Engagement practice across the New York advertising agency, Translation, leveraging the psychological motivators that drive what we do, say, and share in an effort to create contagious marketing programs that extend across both the online and offline world of “social.” His strategies and creative contributions have led to the success of Budweiser’s “Made In America” music festival, the launch of Bud Light Platinum, the launch of the Brooklyn Nets (Hello Brooklyn! ), and State Farm’s “Cliff Paul” campaign – to name a few. Beyond his professional endeavors, Marcus is an extremely passionate educator and an AACSB certified clinical instructor. He has taught Innovations in Marketing and Social Engagement as an adjunct professor at New York University’s department of Media, Culture, and Communications in the Steinhardt School. 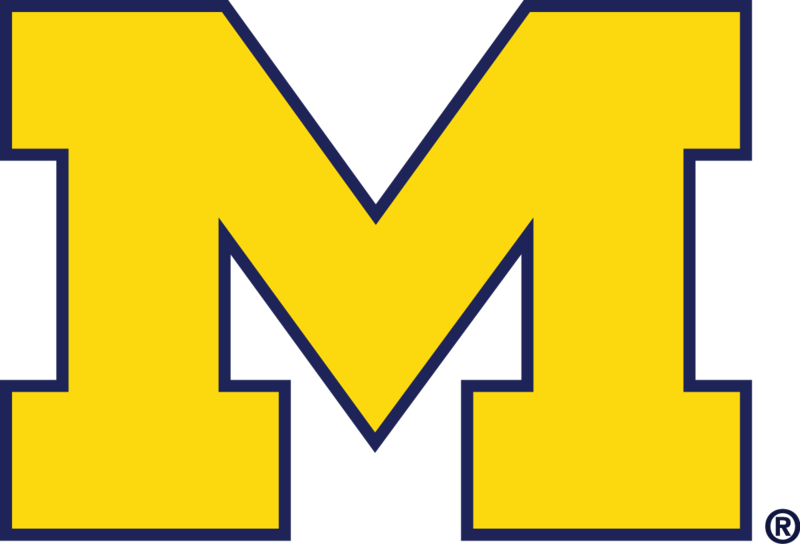 Most recently, Marcus joined the faculty at the Ross School of Business, University of Michigan, as a lecturer of marketing – leading classrooms for MBA’s and executive education. He is also among the roster of instructors at Hyper Island, leading social engagement sessions for executive leaders and digital practitioners, and frequently teaches at General Assembly (NYC) and Miami Ad School (Brooklyn, NY).